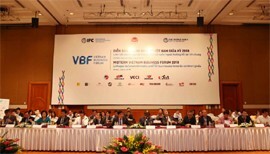 Themed “Linkages between domestic and FDI businesses towards common goals”, the Mid-term Vietnam Business Forum 2018 is an opportunity to strongly manifest the Government’s commitment to joining hands with the business community to make the investment environment in Vietnam more effective and more sustainable to strengthen confidence among domestic and foreign investors. Mr Nguyen Chi Dung, Minister of Planning and Investment of Vietnam, said, the foreign direct investment (FDI) plays an important role in the economy. Currently, as many as 128 countries and territories are investing US$326 billion in some 26,000 projects in Vietnam, of which US$180 billion has been disbursed. 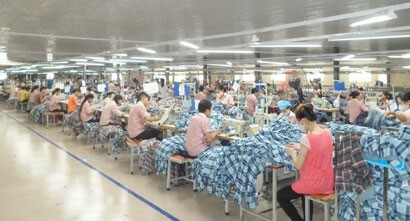 The FDI sector is asserting an increasingly important role in the Vietnam’s economy as it accounts for 25 per cent of total social investment and about 20 per cent of the country’s gross domestic product (GDP). Up to 58 per cent of FDI funds has been channelled into manufacturing and processing sector and the FDI sector makes up 50 per cent of industrial output value and accounts for 72.6 per cent of the nation’s total exports. The sector is employing 3.6 million full-time workers and 5 - 6 million part-time employees. Although there are spill-over effects between the FDI sector and the Vietnamese business sector (manifested by their formation of pressures that force Vietnamese businesses to approach advanced technologies and improve their management skills towards international standards and their job creation), linkages between FDI and domestic enterprises are not as good as expected and technology transfer is limited. “In order to strengthen those linkages, FDI businesses need to actively facilitate Vietnamese partners to have a chance to gradually engage in their value chains. Domestic companies must make every effort to modernise their administrative thinking, approach advanced technologies, raise working skills and qualifications, increase production capacity, product quality and competitiveness while the Government must take practical measures to facilitate and support effective and accessible linkages between domestic and FDI enterprises,” he said. Dr Vu Tien Loc, President of the Vietnam Chamber of Commerce and Industry (VCCI) and Co-chair of the VBF, represented the domestic and foreign business community in recommending solutions to the Government in reforming economic institutions, improving business environment, which is a way that we can always be proactive in implementation, always feasible and inexpensive while the efficiency is very significant, especially in boosting import and export as well as taking advantage of new opportunities in trade and investment. He said Vietnam had taken important steps towards trade liberalisation and opening up of the economy through the signing of the Comprehensive and Progressive Trans-Pacific Partnership, completing the legal review of the Vietnam-EU Free Trade Agreement, and implementing the WTO Agreement on Trade Facilitation. 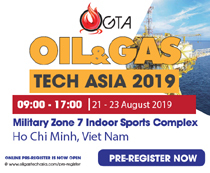 With the 10 other FTAs Vietnam has signed, Vietnam can get regular and favourable access to a wide range of markets around the world and strongly improve its economic institutions, he added. Mr Tomaso Andreatta, Co-chair of VBF, said, 2018 is an important year for the Vietnam’s economy. Vietnam is on the fast-growing track, driven by exports and stable external investment. However, the country is also facing challenges, including internal and external factors, like trade protectionism, trade war between two economic powers or property bubble burst that may wreck on the banking system and the economy. In addition to protecting the domestic market, Vietnam should soon adopt free trade agreements, ratify signed agreements and reform the regulatory system to match with those agreements. Mr Kyle F. Kelhofer, IFC Senior Country Manager for Vietnam, Laos and Cambodia, said contributions of the FDI sector to the Vietnamese economy are very important but to diversify FDI funds and enhance the competitiveness of domestic enterprises, Vietnam needs to have necessary changes in attracting a variety of investors, especially focusing on promoting linkages between domestic and FDI businesses towards common goals. This requirement is made amidst Vietnam's deepening integration with the world economy. Mr Ousmane Dione, Country Director of the World Bank in Vietnam, said, in order to strengthen linkages between domestic producers and FDI enterprises, the formers should increase capacity and competitiveness to become parts suppliers for foreign investors and engage in their global value chains. This was also a step to take advantage of Industry 4.0. Latest data from the Foreign Investment Agency under the Ministry of Planning and Investment showed that foreign investors registered to invest a total of US$20.3 billion in the first six months of 2018, up 5.7 per cent year on year. They disbursed US$8.37 billion in the period, a year-on-year growth of 8.4 per cent. Processing and manufacturing continued to draw most FDI, totalling US$7.91 billion in the period, accounting for 38.9 percent of total registered capital. The real estate sector followed with over US$5.5 billion and the wholesaling and retailing took US$1.5 billion, or 7.4 per cent of the total investment, ranked third. While the fresh and added value reached US$11.8 billion and US$4.43 billion, respectively, slightly lower than the value got a year earlier, investment via mergers and acquisitions (M&As) increased strongly in projects and investment value. In the first six months of 2018, the country saw 2,749 equity deals struck by foreign investors with a total value of US$4.1 billion, up 82.4 per cent over the same period of 2017. In the first quarter of 2018, foreign investors invested nearly US$650 million in the form of indirect investment or portfolio investment (equity purchase and contributed investment) into Vietnamese companies, a five-time increase over the same period last year. According to the report by the World Bank (WB), foreign investment is currently an important complementary investment source as it accounts for about 25 per cent of Vietnam's total investment and about 20 per cent of the country’s GDP. In 2017, the FDI sector contributed nearly US$8 billion, or 14.4 per cent of the nation’s budget receipts. Stable FDI inflows have significantly helped ease exchange rate fluctuations. Nevertheless, many raised concerns that Vietnam’s economy depends heavily on FDI and exports as major drivers of growth. Meanwhile, FDI enterprises have not created close linkages with Vietnamese companies to join value chains, not promoted the development of supporting industries, slowly transferred technology and management experience, and contributed an incommensurate value to the State Budget. Some foreign companies committed transfer pricing, tax evasion and violations of environmental laws. The technology diffusion from FDI enterprises to domestic enterprises is limited. Strengthening the relationship between FDI enterprises and Vietnamese enterprises was very important for Vietnam to take on a leading role in the global supply chain. Therefore, one of the responsibilities of the Government is to issue regulations creating favourable conditions for enterprises to operate in the most open business environment but still maintain discipline. 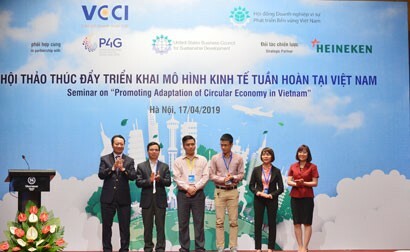 How can both sides, including Vietnamese enterprises with strong entrepreneurial spirit and FDI enterprises with capital and experience can increase their access to human resources and capital. 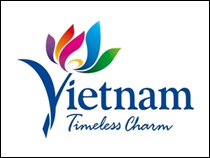 Regarding administrative procedure reform, in addition to recommendations raised at the Midterm Vietnam Business Forum 2017 about setting up new committee with full powers to receive and handle all emerging issues, chaired by the Prime Minister, it is necessary to pilot projects accelerating administrative procedure reform. 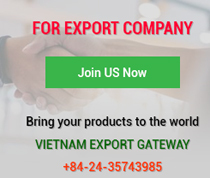 Specifically, the General Department of Vietnam Customs should be chosen to pilot and cooperate with business associations in other countries to boost transparency and quicken the process of settling customs procedures. We hope the Government will continue to cut administrative procedures, provide further guidance on policies for private enterprises, ensure an effective investment protection regime, improve mechanisms for dispute settlement and enforce the Law on Investment and the Law on Enterprises in a consistent manner. We also recommend that there are positive changes in enforcement and protection of intellectual property rights as well as the well-guided enforcement of the Law on Technology Transfer in a clear and specific manner. In particular, tax policy is an issue that needs to be improved to call for more foreign investment and international cooperation. For example, the reform of excise tax calculation in the automotive sector can help dealers boost effective sales. Reviewing regulations and imposing higher excise duties on imported wines and spirits should also be taken into account as it may increase the consumption of illegal beers and spirits, result in failures in controlling quality and harm consumer health. 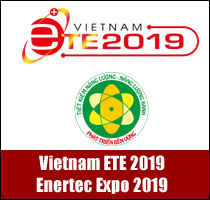 Currently, European businesses are interested in the energy market and want to invest in green energy - clean technology projects such as wind power and solar energy in Vietnam. European companies hope the Government ensures transparency and consistency in investment policies and adopt appropriate and effective measures to protect foreign investors as well as respect intellectual property rights. 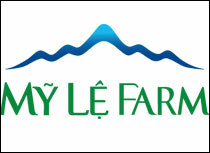 The foundation for improving the performance and competitiveness of Vietnamese enterprises is labour productivity. Many studies show that education programmes in Vietnam are not updated, teachers are overloaded while salaries are not high enough and graduates lack skills that the private sector expects from them. To attract investment and enhance skills of the workforce, the Government should take further action to modernise and upgrade the national educational system, particularly at the tertiary level. Modernising education aims to make sure that Vietnam has highly skilled executives, engineers and technicians who help Vietnam participate more deeply in value chains as the economy grows.